Running a bit late, but here goes. I had multiple plans for this weekend, but the snow and a headache reduced my packed weekend from 5 to 2 events. 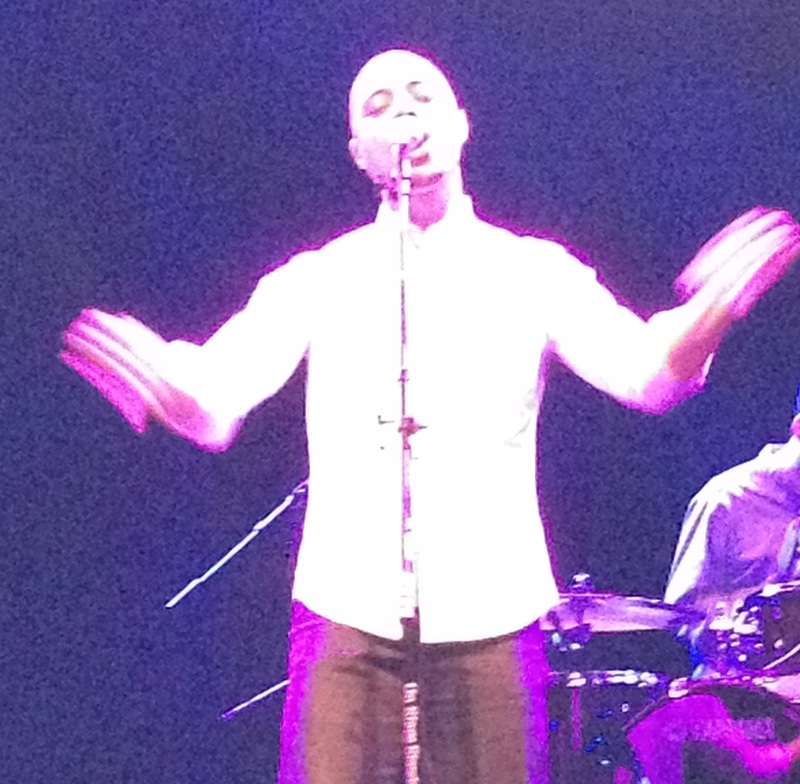 Last week, I had the pleasure of seeing Jose James at the remarkably frigid Howard Theater. Seriously, the place was freezing. People wrapped themselves in coats and scarves. Growing up in Michigan I was always taught that if you bundle up in your coat indoors, what will you do when it’s 20 degrees or more colder outdoors? Therefore, I never walk around in outerwear (a sweater or shawl only) no matter how cold it is indoors. And really, is it every 24 degrees inside like it was that day outside. But back to the show. I admit that I am not familiar with Jose James’ music. I spent the last few years not discovering new music, but revisting old artists. This has been a great experience musically but has placed me woefully behind the curve on current non-ubiquitous artists. However, my friends love him and the concert was only $18 due to a wonderful Goldstar deal, so I was happy to purchase a ticket. I could not quite sing along, but the songs were, lacking an action verb, amazing. I actually dislike dinner concert venues, because I prefer to face the stage not look over my shoulder at the performer. Plus, the tables were too close together and we didn’t have much breathing room. But as the night wore on, I realized that the set-up worked. James approaches his jazz-infused songs quite slowly and methodically, letting his music seep into your consciousness. Also, James has a unique ability to let his band shine and he may often stand slightly off stage as they perform. 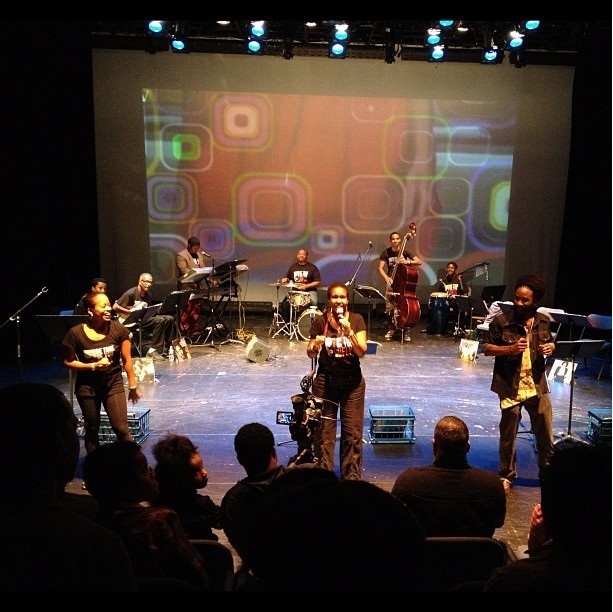 If warmer, the show with its crammed seating and intimate setting would lend itself to a throwback 50’s Harlem Jazz club, a rare occurrence in this modern time. 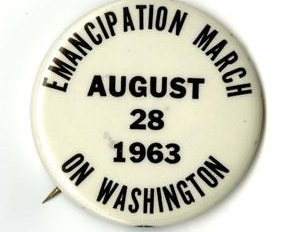 Next, that weekend, a friend invited me to a group outing to visit the Changing America: The Emancipation Proclamation, 1863 and the March on Washington, 1963 exhibit at the National Museum of American History. Another admittance, I am not fond of history as an academic discipline. Current, last hundred years or so, history is easy. Television, newspapers and magazines capture and disseminate information (hopefully) as they happen as with the March on Washington. Prior to that the information gets fuzzy. Very fuzzy. Think back to all of the rancor about the recent Lincoln film. History scholars were upset that the film depicts Lincoln as a great emancipator when his reasons for freeing slaves weren’t all together altruistic. Personally, I don’t care if Lincoln didn’t like or respect African-Americans as the historians claim as long as we were freed. That’s where the split materializes. People have this need for everyone to have pure hearts and actions. I don’t require heroes and heroines, just people who make the right decisions when necessary. The saying goes that history is written by the victors. There are pockets of history that is written, stories that are written but not shared, and events that are distorted. Seeing these artifacts—Lincoln’s hat, Frederick Douglass’ letters, official records–makes history more tangible, but motives and thoughts will always be missing, especially without diaries or journals. The visit spurred an hours-long conversation about activism, race and the upcoming generation. Not that we solved the world’s problems, but critical thinking is always a great thing. And maybe that’s what history can provide. My third week in November—second on a $30 entertainment budget—included only one outing. I was scheduled to attend an Omega Psi Phi Founders Day event for the odd price of $16.24; however, plans changed. A friend of a friend’s mother died, which required immediate attention. 2012 forever will be remembered for me as the year of parental death. So many of my friends and former classmates had parents die this year. This is especially difficult because childhood friends’ parents have more of an indelible mark on your life than current friends’ parents, due to the fact you remember eating at their houses, seeing them at outings, watching them drive you around. It’s a different relationship. For my lone outing I attended the Gentleman Jack’s Art, Beats + Lyrics. I typically never wait in line, outside for anything. Even, Black Friday (post forthcoming), I just arrive right before doors open and just glide in. So this event tested my patience. I arrived not at the start, 7p, because I heard the lines are long and figured that arriving later would allow for the line to die down. This was remarkably untrue. I began to lose my patience after about 30 minutes of waiting in the cold and my lack of knowing anyone important enough to let me cut the line. However, I discovered that friends were slightly ahead of me and got an impressive 30-40 people jump, which isn’t worth telling. The event was a mix of art, music and drinks. Free drinks have an amazing ability to go quickly. Upon entering, we immediately entered the drink line, where we received the last of the last of the specialty cocktails. Good thing for that 30 person jump. The first act was Mansions on the Moon. A casual onlooker remarked that they sounded a bit like U2. I could hear that slightly. They had a rhythmic guitar sound that is reminiscent of the Irish band. It made for great background music to view the art on display. Next, was Shock G of Digital Underground, the fun hip hop group from the 90’s, which sadly is best known for launching Tupac. He prompted a contest amongst my friends to name all of the Digital Underground songs that we could. Boy, was that a sad output. He could actually play an instrument, which impressed me more than his attempts to get people to jump up and down. People waited in line too long in the cold for this to actually happen, maybe if it was a beach concert. He did more songs than we remembered as we forgot Kiss You Back, which is shocking (no pun intended) because I owned that song in high school, back when you could buy singles on cassette for .99 cents, pre-iTunes. Finally, we were treated to Scarface, whose songs I definitely remembered. He came out playing the guitar!!! This was awesome. Then he sang some Led Zeppelin, thanks Twitter as I don’t know 70’s rock music at all. It really is a black hole of my music knowledge. This was not as awesome. I became concerned that since this was a free event we would be treated to those weird artistic shows that Billy remarked on in Purple Rain that only satisfy the artist. However, Scarface said that he was just bullshitting and moved on to the hip hop he was famous for. As for the art, it wasn’t my taste. It verged a bit on the kind of artwork you see on t-shirts at festivals and fairs. However, I love faces and these items were my favorites. I thought Mansions on the Moon made a better backdrop for perusing arts, as Shock G and Scarface took attention away from the exhibits, the make your own art installation and the not sure if it was ironic opportunity to take a group picture (the kind you saw in clubs in the 90’s and that my college crew refused to take). Meanies! Now, I have absolutely nothing capturing that part of my life. This is the first of three of the artwork exhibit I liked best. This is the second of three of the artwork exhibit I liked best. This is the third of three of the artwork exhibit I liked best. I might go again if I can find the will to stand in line again. However, it was free, which means more money for next week. Yay! On 10 November, I attended Liner Notes, courtesy of a wonderful deal through my usual channel for inexpensive events: Goldstar. I am quite broke this month and challenged myself to only spend $50 a week on outings. This may seem easy for many, but proves difficult for me. 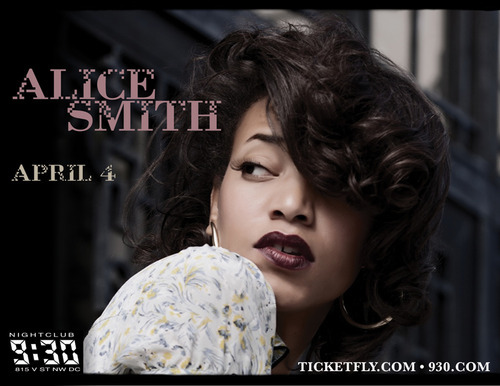 My problem stemmed from the fact that I purchased a $43 ticket to see Mint Condition. As an aside, I really need to make at least a small effort to go to the box office of concert venues while I am already out because the ticket fees were 43% of the cost of the actual ticket. Then I took one of my best buds who was only in town for a night to birthday drinks. Amazingly, this dropped me to a remaining $30 for each of the next three weeks. Here’s how I spend my second weekend in November (first on a $30 budget): I went to an Afro-Brazilian dance class for $12. I thoroughly enjoyed my first class, though I had to leave early because I was improperly (i.e. in the grocery store parking lot) parked. I wasn’t particularly good. The instructor only showed the class the move once and then I had to rely on wiggly White girls in front of me to remind me of what it looked like, which I feel wasn’t the best exemplar. Who are we Alvin Ailey members? If we could get a dance on the first try then we wouldn’t need this class, would we? D.C. has the coolest classes to get more interesting exercise but honestly parking precludes my attending most because paying to park is equal or more to the cost of the class, which blows the budget. Then, I attended the aforementioned Liner Notes for $10.50 with fees. I will admit that I did not know what to expect as the description on Goldstar didn’t give much and shockingly, the theater’s website didn’t link properly to the production company’s site. The event was a celebration of music, connecting original songs through a live full band—bass, drums, guitar, keyboard, horn, vocals—to hip hop songs that sample the content with lyricists under the theme of “Family”. In fact, there were generations present throughout the night with men playing alongside sons, daughters and grandchildren. I am quite knowledgeable of 70’s era music because my mother has an extensive music collection. It is ridiculous actually. People tried to convince her for years to sell it and she refuses. Being defiant about every damn thing including small items, like “turn right here”, she sabotaged potential sales by discarding all of the album covers. She knew this ruined all resale value. However, this collection means that I can usually identify most samples of hip hop songs easily, not that this is a marketable talent. 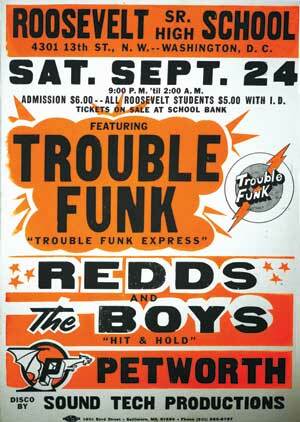 The event started with Sly and the Family Stone. I actually remembered “Sing a Simple Song” from the recesses of my childhood though I should really go back and re-listen to this stuff. However, I couldn’t remember what hip hop song could have sampled it and then the ending. Yes, the “Ahhs” and pow, “Mama Said Knock You Out”. I was extremely excited to learn new “originals”. I didn’t know the origin of the “They Reminisce Over You” sample at all and it’s a really beautiful song. I had a ball for many reasons. I got to sing and dance. I love singing along to anything, even Garth Brooks songs I remember my high school classmates playing ad nauseum. Plus, I had an opportunity to do something that I have been doing for years inside my head anyway—bridge the gap between the music my mother adored and the hip hop that defined my generation. Great event. I capped off my holiday weekend, forgetting my migraine jamming to the Chuck Brown band and the band of my generation, Mint Condition. I really could listen to “Nothing More to Say” live over and over again forever.